The candy cane is a holiday related food item. To craft a candy cane four pieces of sugar must be placed into the crafting table. 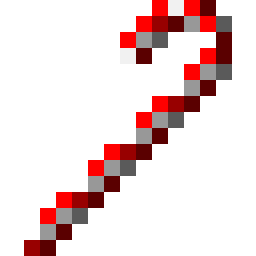 Candy cane heals 2.5 hunger points and 8 seconds of regeneration.